The time has finally come — and vegans, you might want to sit down for this news: The über-popular plant-based burger Impossible Burger is making its way to grocery stores. Impossible Foods, the creator of the burger, will begin selling the Impossible Burger in stores starting next year “in response to overwhelming demand” according to a press release. The Impossible Burger is already available in about 5,000 restaurants in all 50 states, including Fatburger, White Castle, Wahlburgers, Umami Burger and Hopdoddy, and two more restaurants will be added to the list: Dog Haus Biergarten and Hurricane Grill & Wings. Starting Monday, the Impossible Burger and Impossible Slider will debut at more than 30 Dog Haus locations nationwide and 55 Hurricane Grill & Wings locations. The award-winning burger debuted in 2016, and since then, Impossible Foods has sold 13 million burgers through its restaurant partnerships. And Americans have eaten more than 13 million Impossible Burgers since July 2016. 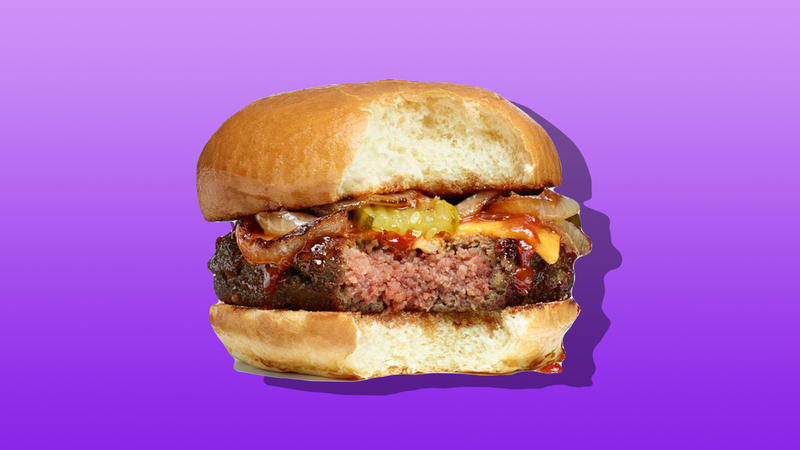 More: A Complete Ranking of the Best Store-Bought Vegetarian "Meats"
Impossible Foods’ goal is to “eliminate the need for animals as a food production technology” by 2035.